In my new book now titled Pagan Bones, Buck McDivit is involved with a murder investigation, cattle theft and a mysterious shape-shifting black panther. He also becomes the only male participant in a pagan spring revel. In the book, Buck enlists the help of his best friend, Trey Calderham. Trey is an agent for the Texas and Southwestern Cattle Raisers Association, a private agency that has the authority to make arrests in both Texas and Oklahoma. Yes, there really is such an agency. Trey’s new lady love, Beth O’Hara, is one of Buck’s old flames. Beth owns a restaurant, the Azure Pendant, in the eclectic Paseo District of Oklahoma City. When Buck pays them a visit, she cooks an amazing New Mexican dinner. Here is a recipe for the excellent dish that I found on the web at www.SantaFeSchoolofCooking.com. What is mole? Check out the very interesting website and find out. I’m still working on the cover, but here is a mock-up until I get there. My good friend Dave Beatty is working on a full moon picture for me. Grind all spices in a spice grinder or with a mortar and pestle. Rub the spice mixture over the surface of the pork loin. Wrap the loin in plastic and refrigerate for 24 to 48 hours. 2. Heat the olive oil in a large skillet over medium-high. Sear the pork on all sides until browned. Transfer to a foil-lined baking sheet and roast in the oven until the internal temperature reads 160°, about 1-1/2 hours. Allow the pork to rest for 15 to 20 minutes before slicing. 1. In a preheated skillet over medium, press the chiles, 3 or 4 at a time, onto the bottom of the pan until fragrant and pliable. Be careful not to burn them. Remove the stems and tear the softened flesh into large pieces, removing the seeds that stick to the flesh. Soak the chile pieces in hot water for 30 minutes, until softened. 2. In the meantime, heat the olive oil in a small skillet and sauté the onion until softened. Place the sautéed onion, the garlic cloves and the tomatoes in a blender and puree. Pour mixture into a bowl and set aside. Return 1 cup of this mixture to the blender and add the peanuts, almonds and sesame seed powder. Puree, adding a little of the tomato liquid, if necessary. Combine the puréed tomato mixture and the peanut mixture, and add the espresso powder and spices. 3. Drain the chiles, reserving the soaking liquid. Place the chile pieces in a blender and add 1/2 cup of the soaking liquid, or more if needed. Puree until thoroughly blended. Add the chile puree to the other purees and stir to combine thoroughly. 4. In a large saucepan, heat the lard. When it is hot, add the puree all at once. You may want to use the lid of the pan as a shield, as the liquid will splatter. Bring the mixture to a boil, reduce the heat, season with salt and chipotle chile powder, and simmer for 30 minutes, stirring occasionally, until you have a sauce with the consistency of thick cream. A certain spicy stew is a cooking staple in south Louisiana. Sauce piquante was introduced to Louisiana by the Spanish. 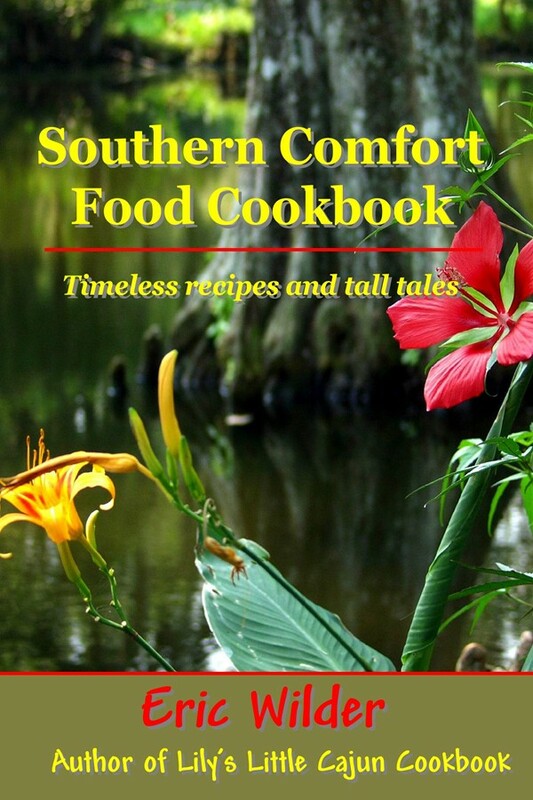 It has been embraced by Cajun chefs and has evolved into nearly as many differing recipes as there are cooks. The dish begins with a roux, combined with the sauce and almost any meat you can think of. In Louisiana, there is chicken, pork, wild duck, turtle and even alligator sauce piquante. Here is one of my ex-mother-in-law Lily's version. Make roux with cooking oil and flour, stirring constantly until medium brown. Add onions, garlic, bell pepper and shallots. Sauté until onions are clear. Add chicken, tomato sauce, water, Burgundy, parsley and seasoning. Cover and cook over medium heat for 30 minutes (stirring occasionally) or until sauce begins to thicken. Serve over rice. Serves six. 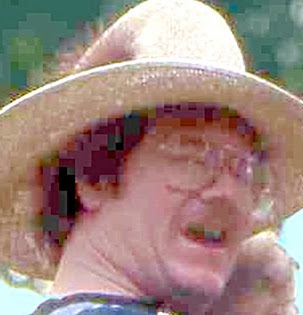 I recently reconnected by email with my old Vivian friend Jay Denny. 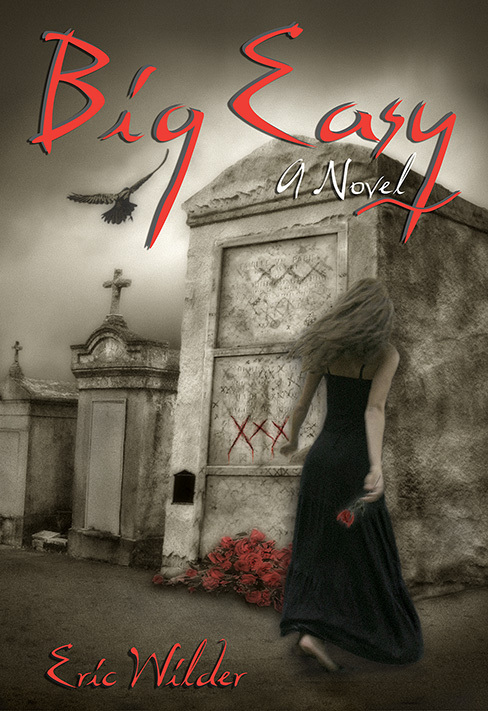 Finding out at a North Caddo High reunion that I had started writing novels he bought a copy of Big Easy and began reading. Like me, Jay Denny lived in New Orleans for a time and here is a ghost story he swears is true. He is allowing me to tell it but made me promise not to reveal the actual hotel and bar so as not to offend the ghost of Madam Marie Laveau. In the nineties, after a long sojourn in California I was back in New Orleans for a visit and decided to stay at the hotel. I went in the bar to see if the bed side was still there. It was, but the bar had been remodeled, the bed side moved it to a new spot. Oklahoma weather is quite bizarre. This year, it is nothing less than weird. Killer tornadoes struck earlier this week destroying more than a hundred homes. Two nights ago, thunder almost rolled me out of bed. Last night, the storms returned, bringing with them unseasonably chilly temperatures and lots of rain. They also brought out a new beast to my front yard. My beautiful Shepherd dog Velvet is sick. I think she is just getting old. She has arthritis, allergies and is picky, picky, picky. She was lying amid her cedar chips tonight when I heard Patch, my Australian cow dog, begin barking. I went to the front door, expecting to see the young red fox that likes to eat my cat’s left-over food. What I saw when I gazed out the door wasn’t a fox. I gazed out at an albino coyote. Yes, this is what I think it was. It wasn’t a dog. Its front legs appeared longer than its rear legs. It was almost ghost-like, a creature almost devoid of color. I watched it for a minute and then went to the kitchen for my trusty digital camera. When I pointed it at the beast, it ran away, into the shadows. I know, no one is ever going to believe me without a picture. I put some more food in the cat’s plate, left the front door open and I am waiting for Patch to start barking again. My close friend Big Billy was both an oil entrepreneur and a Dallas restauranteur. He was such an interesting character, I could write a book about him. Come to think of it, maybe I will some day. I once sold him an oil deal in Noble County, Oklahoma. It was a reentry—going into a previously drilled well in hopes of completing in a productive zone the original operator missed. We were unsuccessful in the predicted pay zone but came up roses in a shallow limestone. The well tested nine hundred MCFD (pretty damn good for a six hundred foot well) and Big Billy ultimately drilled ten offsets. Big Billy, like his name, was a big man—six foot four and three hundred seventy five pounds. He had the mentality of a wildcatter along with the wildly crazy luck that made him successful. He had absolutely no pretense, but could cook some of the tastiest meals imaginable. He also liked Texas music and he, Kathy—his significant other— and I once made a special trip to see Willis Alan Ramsey at the Blue Door in Oklahoma City. But that’s another story. Yes, Louisiana is the land of Acadia, but there are probably just as many Cajuns living in Texas. Big Billy borrowed a few secrets from his Louisiana neighbors in creating this dish that I guarantee is to die for. Although no longer with us, his legend and recipes will live forever. Combine eggs, crawfish meat, onions, butter, salt and Cayenne in a large mixing bowl. Stir in flour until blended. Heat cooking oil in a large cast iron skillet until very hot. Drop tablespoonfuls of batter— a few at a time—into hot oil. Fry until golden brown on both sides. Drain on paper towels. In a small bowl, combine the mayonnaise, ketchup, horseradish, squeezed lemon juice and Texas hot sauce. Serve fritters with Texas dipping sauce. My good friends Big Billy and Kathy, his significant other, once bought a large sailboat and pulled it on a trailer to Seattle. They were both too young to retire, but neither knew it at the time. They lived on the sailboat for two years, sometimes sailing miles from shore. Usually, they were docked in Seattle, enjoying their sea-going neighbors and the ambiance of the City. Big Billy, a former Dallas restauranteur, was a wonderful cook. Despite the fantastic fare in the Seattle area, he couldn’t help but cook with Texas flair. He had a little charcoal grill he kept on deck and quite often prepared world-class meals for him and Kathy before they ventured out for the night to drink the local beer and listen to music in the clubs. Here is a simple recipe for one of their favorite dishes. Combine mango chutney, lime juice, olive oil, ginger and curry powder in a mixing bowl. Grill shrimp over the white hot coals on the grill while heating the soft corn tortillas in a pan (don’t overcook the shrimp and just warm the tortillas). Wrap the shrimp in tortillas and drizzle mango mixture over them. Top with cubes of avocado. Enjoy. Good with a nice Riesling, but Big Billy much preferred Sierra Nevada Pale Ale.